Many Newfoundlanders attended the Avalon Celebration of Hope with Will Graham Saturday night. 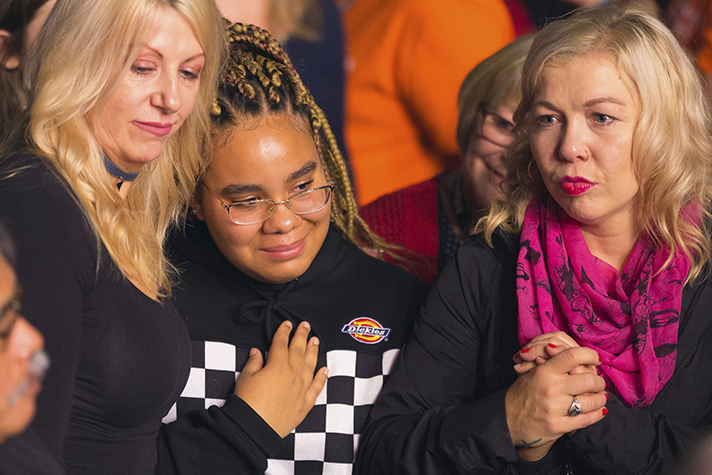 The Holy Spirit moved some to turn over their lives to Christ in St. John's, Newfoundland and Labrador. The Celebration continues Sunday with a message from Will Graham and music from George Canyon, Jason Crabb and Blue East. Fishing is a way of life for many in St. John’s, Newfoundland and Labrador. When it’s good, it’s lucrative. But right now, the seafaring career—along with other industries—are proving to be difficult for some in this capital city. 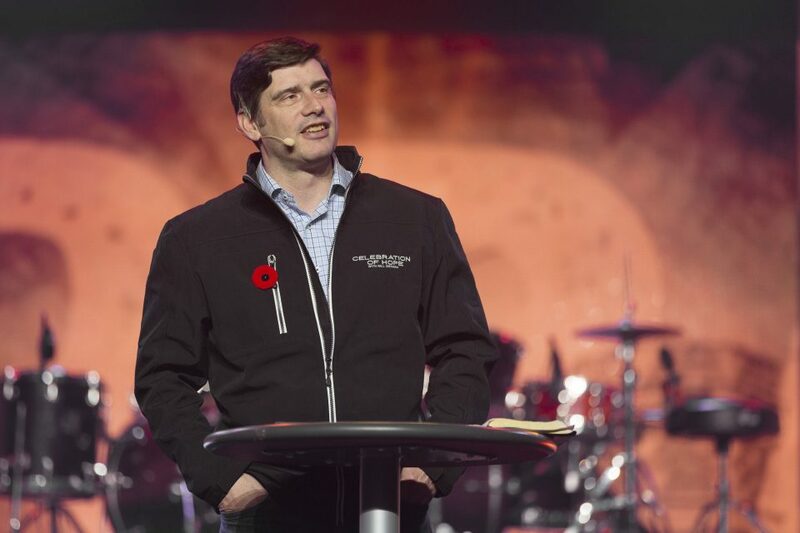 St. John’s, the most easterly city in North America, is host to the Avalon Celebration of Hope with Will Graham this weekend. Nearly 4,000 came on Saturday night to hear Will Graham and Christian music from Canadian artists The Color, Australian band for KING & COUNTRY and others. >> See photos from Saturday’s Celebration. Will Graham, evangelist and grandson of Billy Graham, talked about how hard it can be for some to just make a living. “Newfoundlanders have to go elsewhere to look for jobs and careers,” he said at the Mile One Centre. “You put a good facade on,” Will continued. “You’re discontent. For Lyndon, a crab fisherman from nearby Conception Bay South, Will’s message deeply touched his heart. Lyndon, his wife and two children attend church regularly, but he’s been holding on to his stress instead of releasing it to God. A fisherman like his father, Lyndon went to school and is trained to fish anywhere in the world. But Newfoundland and Labrador is his home—and times are hard. So much that the couple is having to sell their home. “Things are falling apart,” he said. The fisherman was moved by Will Graham’s message about the Prodigal Son from Luke 15. In the parable, Jesus talks about how a discontent young man left his father’s home for an adventurous life. After losing everything, he was then welcomed back home by his loving father. Lyndon came home Saturday night, rededicating his life to Christ after Will’s message of peace and salvation in the Savior. Repenting of his sin, Lyndon prayed, wiping tears away. “I just want God to take away the stress,” he said. 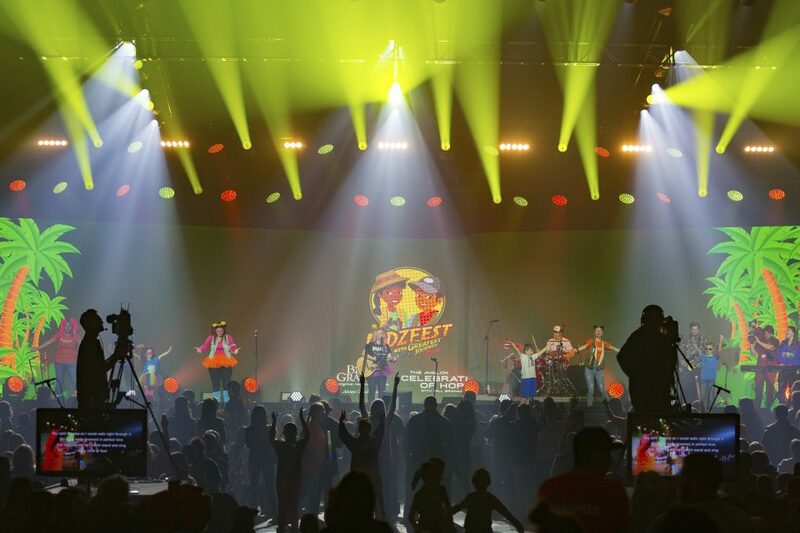 More than 1,300 children and parents attended KidzFest on Friday. The fun night began with games, inflatables and face painting at the hockey arena. Musical artist Angie Rogers and Will Graham shared the Good News, and many children and some parents later made decisions for Christ. Chinedu Iwuala and others from his church, Christian Missionary Fellowship International, have been praying for the Celebration for a long time—two years in fact. Before the event began, he talked about the importance of sharing the Gospel from one generation to the next. “The legacy of a strong faith in Christ often isn’t passed down any more,” he said. From Nigeria, Iwuala believes God brought him and other believers to St. John’s for one purpose: “All the passion, teaching, growing us in God in Nigeria—it was just for what we’re going to do here,” he said. Their prayer is for God to bring revival to the province. “I know there’s an awakening coming here,” Iwuala said. Saturday night, though, the tall, dark-skinned man with a big smile was simply trusting God for the here and now. “I just want some people saved,” he smiled. And by the end of the night, many were. How can you be sure you’re saved? Pray now. Many people today look for truth outside of the church. That's why we're filling venues like stadiums, arenas, and even fields around the world with Good News.